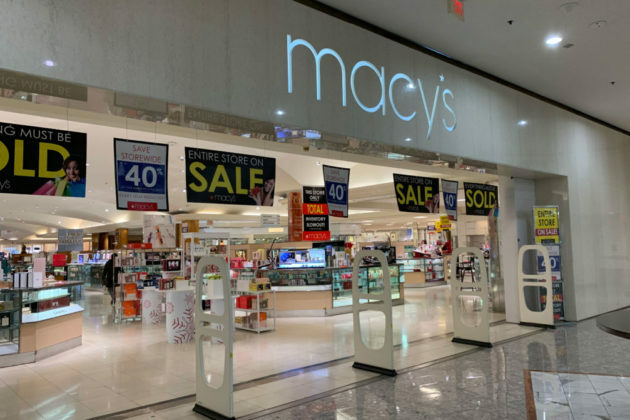 The Macy’s in Tysons Galleria is closing, but before it does there are discounts on all items in the store as the department store clears out its inventory. 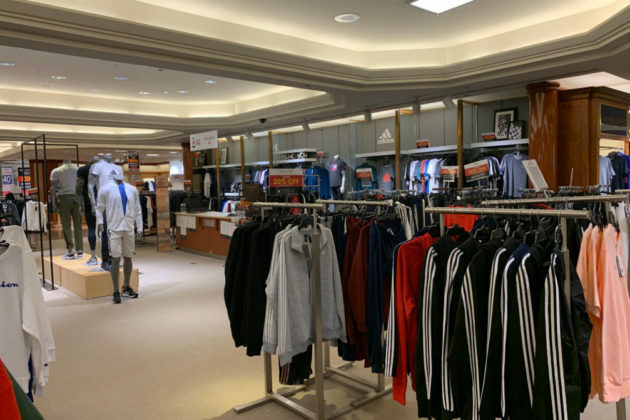 Currently, most items throughout the store are discounted at 20 percent, though signs proclaim that some things are discounted up to 40 percent. Staff at the store said discounts could increase as the weeks progress. The exact date the store will close is currently undetermined. As of yesterday (Monday), the store’s shelves were still well stocked, though diminished staffing meant longer lines at the store’s remaining registers. Discounts are applicable only at the Tysons Galleria Macy’s and items purchased at the store cannot be returned. The Washington Business Journal reported that Brookfield Properties Retail could be replacing the three-story retail giant with some combination of an iPic theater, Balducci’s grocery store, Tiffany & Co. store or an Apple store. 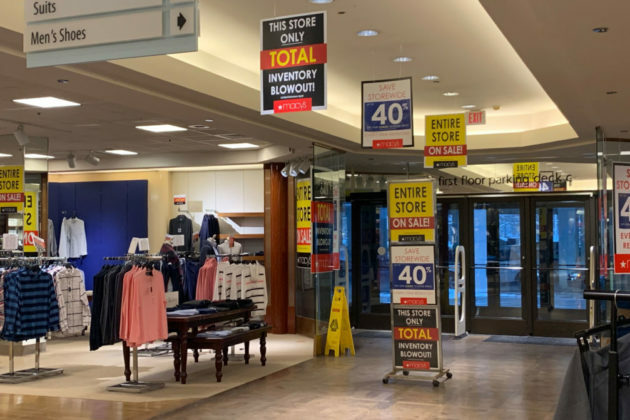 There’s been a spate of unrelated, recent closings across Tysons, with similar sales at Pier 1 Imports and Performance Bicycle Shop. What’s the State of Snowy Sidewalks in Tysons?